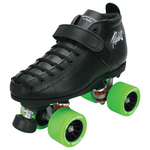 The ones call them rollers, the others call them quad or retro-skates. 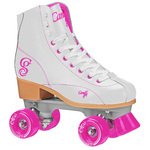 We just call them Roller Skates! 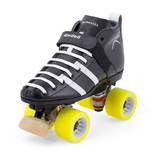 In our shop you'll find all brands and products that you need for RollerDerby or Outdoor-Skating. 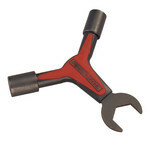 Choose one of the products of your favourite brand or take a look on our packages for beginners or professionals. 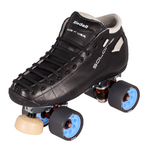 You can even customize your own skate or take one of our special RDH-Editions! 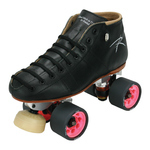 Be prepared for a huge selection of rollerskates, boots, plates, wheels, bearings and protection wear. Take advantage of our fast worldwide shipping service: Orders received until 2pm (CET) will usually be shipped on the same day. Exchanges and complaints will be handeled fast, easy and uncomplicated. Service is our profession! 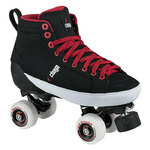 By the way: RollerDerbyHouse.eu is 100% Skaterowned! 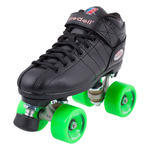 We have more than 20 years experience in rolling sports. We support Rollerderby-Leagues and Rollergirls. Sponsoring requests are very welcome! For more detailed information about us click here.